This 7-page guide links to articles about insects that are often used in the Florida FFA Vegetable Judging Competition. Written by Jennifer Lynn Gillett-Kaufman, and published by the UF/IFAS 4-H Youth Development Department, April 2018. Olives have great potential as a landscape ornamental and may also provide opportunities for home fruit production. However, as a relatively new commercial crop to Florida, the cultural requirements of these trees are not completely known and research is ongoing to understand how to manage them for plant health and fruit yield as well as to make recommendations on varietal selections best suited to the southeastern region of the United States. This 5-page fact sheet includes culture and management information, selected references, and a table listing a selection of olive cultivars currently available in the U.S. Written by Mack Thetford, Jennifer L. Gillett-Kaufman, Michael J. Mulvaney, and published by the UF Department of Environmental Horticulture, February 2015. La producción de olivo o aceitunas (Olea europea) en Florida ha aumentado en los últimos años. La disponibilidad de árboles en los viveros de plantas ha aumentado y muchos residentes los compran para plantarlos en su patio. Afortunadamente, los olivos son una especie relativamente resistente a muchas plagas, pero en ocasiones surgen invasores que pueden causar daños significativos. Algunos patógenos también pueden infectar los olivos y causar enfermedades, reducir los rendimientos o arruinar la apariencia estética de los árboles. Siguiendo las prácticas de cultivo apropiadas para olivos podemos reducir las probabilidades de perder árboles por plagas y enfermedades. Una encuesta realizada con productores de aceitunas en Florida durante el año 2014 identificó las plagas y enfermedades descritas en este documento. This 6-page fact sheet was written by Jennifer L. Gillett-Kaufman, Sandra A. Allan, Jonael H. Bosques-Méndez, and Lyle J. Buss; translated into Spanish by Jonael H. Bosques Méndez, and published by the UF Department of Entomology and Nematology, September 2014. Olive production in Florida has increased over the last few years. As trees become available in nurseries many homeowners are planting them in their landscapes. Fortunately, olives are a relatively pest-free species, but some occasional invaders can be a nuisance or cause lasting harm. A few plant pathogens that may infect olives also can lead to a decline in overall plant health, fruit yield, or the visual appearance of plants. 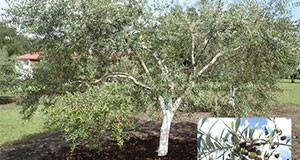 Following correct cultural practices when growing olives can reduce your chances of tree loss from pests and diseases. A survey of olive production and interviews with Florida growers in 2014 identified the pests and diseases described in this 5-page fact sheet, written by Jennifer L. Gillett-Kaufman, Sandra A. Allan, Jonael H. Bosques-Mendez, and Lyle J. Buss, and published by the UF Department of Entomology and Nematology, September 2014. The focus of the book is on hydrilla management in Florida, although the described tactics are known and used in many of the 28 states in the United States with hydrilla infestations. Divided in seven chapters, the book guides the reader through a general introduction to the problems associated with hydrilla; identification of the plant; instructions for early detection of infestations including federal and state laws and regulations; detailed descriptions of available control tactics; proposals for integrated management plans; descriptions of insects and fish associated with hydrilla; and supplementary information including contacts for assistance when readers encounter infestations. This 144-page book was written by Jennifer L. Gillett-Kaufman, Verena-Ulrike Lietze, and Emma N.I. Weeks, and published by the UF Department of Entomology and Nematology, August 2014. Not just a coloring book, but an interactive learning experience! This educational handout is perfect for classroom use, homeschool, or just a rainy (or snowy, if you are not in Florida) day. This activity will help connect kids and adults with the amazing diversity of animals for which we have articles in the UF/IFAS Featured Creatures database. This coloring book can be printed front to back on a standard 8.5 by 11 inch sheet of paper. Once you have your paper and coloring tools in hand, learn more about these creatures and decide what colors to use by reading more about them and visiting the web links for each insect. This 4-page fact sheet was written by Jennifer L. Gillett-Kaufman, and published by the UF Department of Entomology and Nematology, February 2014. Insects in the family Elateridae are commonly known as click beetles. Their name comes from the clicking sound they make while attempting to right themselves after falling or being placed on their backs. 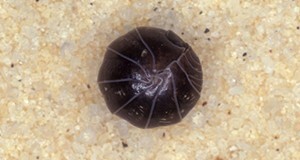 The larvae of click beetles are called wireworms. The corn wireworm is a serious agricultural pest and was added to the EPPO A1 action list of quarantine pests in 2002. 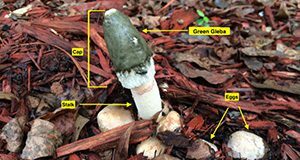 This 6-page fact sheet was written by Harsimran K. Gill, Gurminder Chahil, Gaurav Goyal, Jennifer L. Gillett-Kaufman and Ronald Cherry, and published by the UF Department of Entomology and Nematology, January 2014. Cabbage aphids cause significant yield losses to many crops of the family Brassicaceae, which includes the mustards and crucifers. 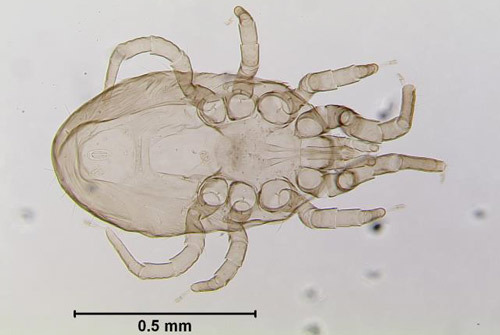 It is important to have a comprehensive understanding of this pest and its associated control measures so that its spread and damage can be prevented. This 5-page fact sheet was written by Harsimran Kaur Gill, Harsh Garg, and Jennifer L. Gillett-Kaufman, and published by the UF Department of Entomology and Nematology, October 2013. Spotted cucumber beetle is a major agricultural pest of North America. 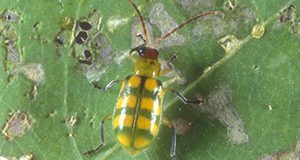 Another name for the spotted cucumber beetle is “southern corn rootworm”. Many Diabrotica species cause damage to field crops, especially corn, making these beetles a major agricultural concern. Because of the subterranean nature of their larvae, these insects are hard and expensive to control. This 6-page fact sheet was written by Harsimran Kaur Gill, Gaurav Goyal, and Jennifer Gillett-Kaufman, and published by the UF Department of Entomology and Nematology, September 2013. The seedcorn maggot is a polyphagous pest, affecting more than 40 different host plants. It is an important pest of germinating soybeans and corn, and also attacks a wide range of horticultural crops including beans, peas, cucumber, melon, onion, pepper, potato, and other vegetables. Seedcorn maggots damage newly planted seeds by feeding on seed contents, often leaving empty seed shells and preventing germination. Although usually no more than 2% of the seedlings get infested by this insect, 30% to 60% plant loss may occur in the field. This 5-page fact sheet was written by Harsimran Kaur Gill, Gaurav Goyal, and Jennifer L. Gillett-Kaufman, and published by the UF Department of Entomology and Nematology, July 2013. 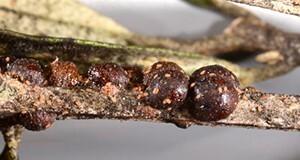 The citrus mealybug is a common pest of citrus primarily in greenhouses, and of several ornamental plants in Florida. It has been recognized as a difficult to control pest in Europe since 1813, where it is called the greenhouse mealybug and in the United States since 1879. This 4-page fact sheet was written by Harsimran Kaur Gill, Gaurav Goyal, and Jennifer Gillett-Kaufman, and published by the UF Department of Entomology and Nematology, September 2012. In desperate attempts to eliminate bed bugs, people often turn to home remedies that can be fatal. Here is a list of what not to do for bed bug control. En desesperados intentos para eliminar las chinches, las personas usan remedios caseros que pueden ser fatales.Lo siguiente es una lista de lo que NO se debe hacer para tratar de controlar las Chinches. This 2-page Spanish/English fact sheet was written by Faith M. Oi, Jennifer Gillett-Kaufman, Eddie Connor, Marty Overline, Brian Taggart, and Louis Witherington, and published by the UF Department of Entomology and Nematology, March 2012. ENY-501, a 5-page fact sheet by Amanda Hodges, Jennifer Gillett-Kaufman, Carrie Harmon, Aaron Palmateer, Pamela Roberts, Adrian Hunsberger, Sylvia Shives, Theresa Friday, and Jiannong Xin, answers questions about the NPDN First Detector training program, which promote the early detection and proper identification of potentially devastating exotic species through a coordinated extension education effort. Includes references. Published by the UF Department of Entomology and Nematology, December 2008.